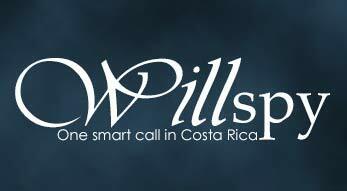 NAIS Member -Doug Smith -Costa Rica Private Investigator returns 2 year old son to North American Mother. Athena DeMarsh of Tres Ríos Costa Rica hired the private investigation agency Willspy of Costa Rica to recover her two year old son that had been kidnapped by the father. She informed Doug Smith that she had full custody of her son and that the father demanded that she provide him with a $90,000 sports car for the return of her son. The 2year old boy had been kidnapped for over 13 months and that she and her attorney had contacted the local police over 50 times with all the documents but they had refused to help. Willspy was able to barrow a new Jaguar from a client and told the mother to contact the father and tell him that she would give him the car in exchange for the 2 year little boy. The sting operation was set up in a shopping center in the city of Desamparados Costa Rica. When the father arrived at the site with the baby Doug Smith took the father for a drive in the Jaguar. When the father turned over the baby to the mother, as the mother and the baby drove away the keys along with fake paperwork were given to the father. By the use of misdirection the keys had been switched. Willspy removed them from the site and the car had been removed from the parking lot without the father noticing. The mother and the baby have been relocated and are safe. As the premier Private Investigation agency in Costa Rica, we are the only American-owned, full-time and dedicated agency located in Costa Rica. Our private investigators possess decades of experience in Law Enforcement, Military Special Forces, Investigations, and Personal Protection. We are experienced both inside Costa Rica and in other Latin American countries. As a result, we have developed specific methods to deal with threats to our clients’ finances, their homes, and their persons whether visiting, investing or living in Costa Rica. You can contact Doug’s Agency through his web site WillSpy, click here to review it now. 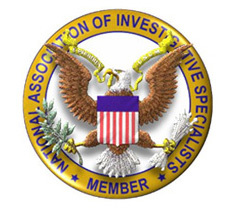 Doug Smith And WillSpy is a member of The National Association Of Investigative Specialists.